Good afternoon everyone! I hope you are all having a warm, wonderful weekend. 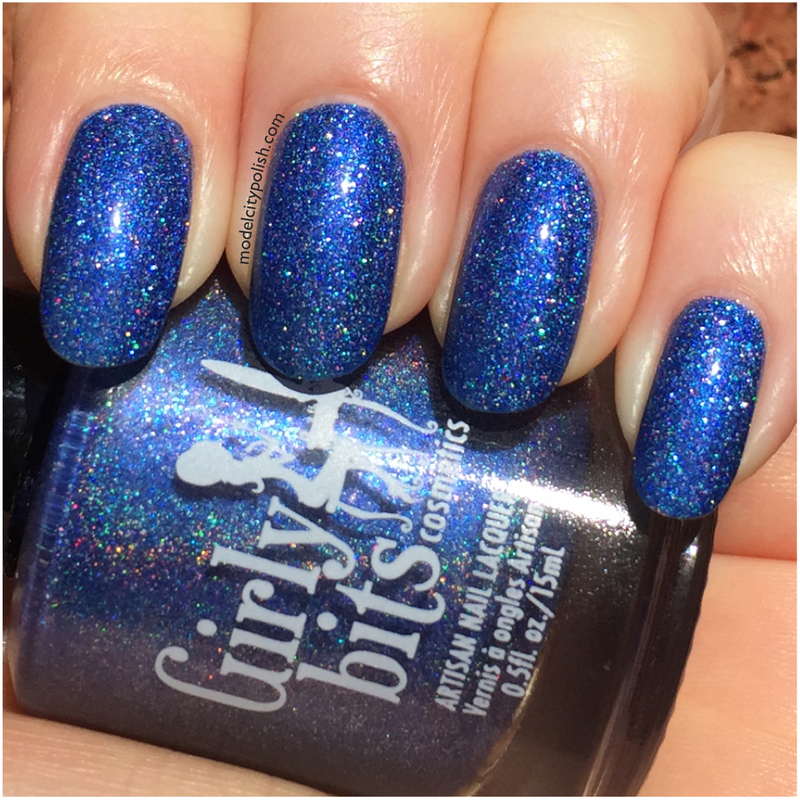 This weekend it is just screaming Spring and the sun is shining bright, which means the perfect time to rock my bottle of Winter Sanctuary by Girly Bits. 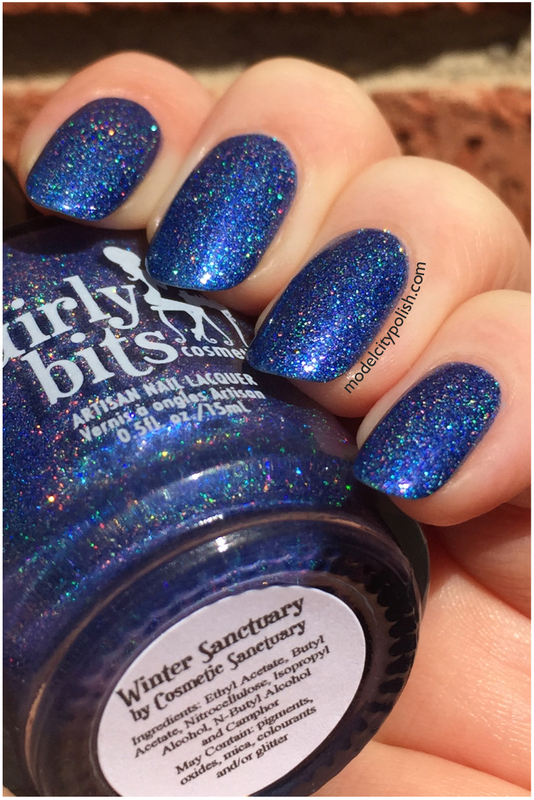 Winter Sanctuary is a stunning medium blue cobalt shimmer with holographic goodness. 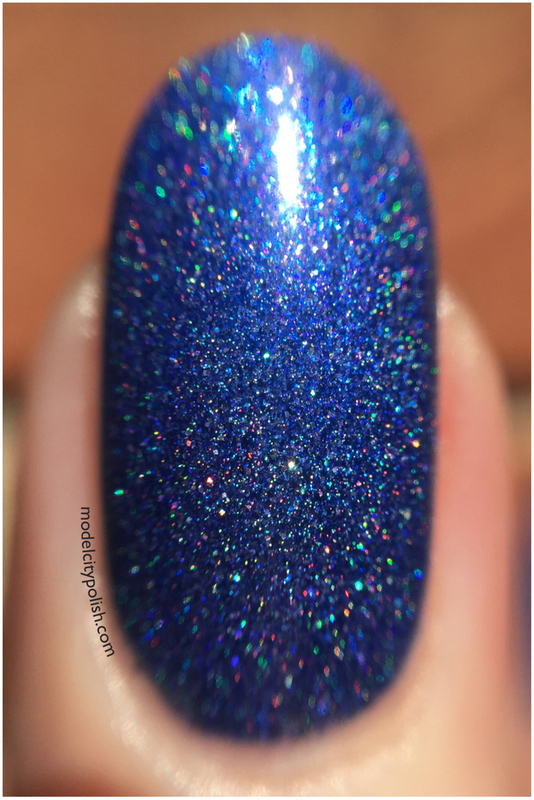 I am in love with every bit of this blend. 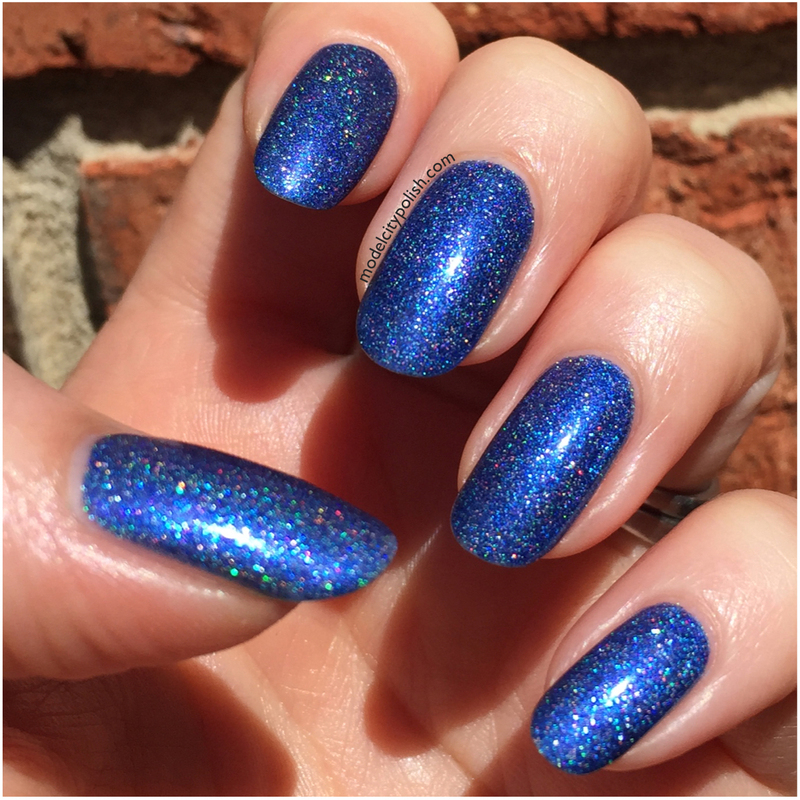 The color, glitter, and holographic combination is just perfect. 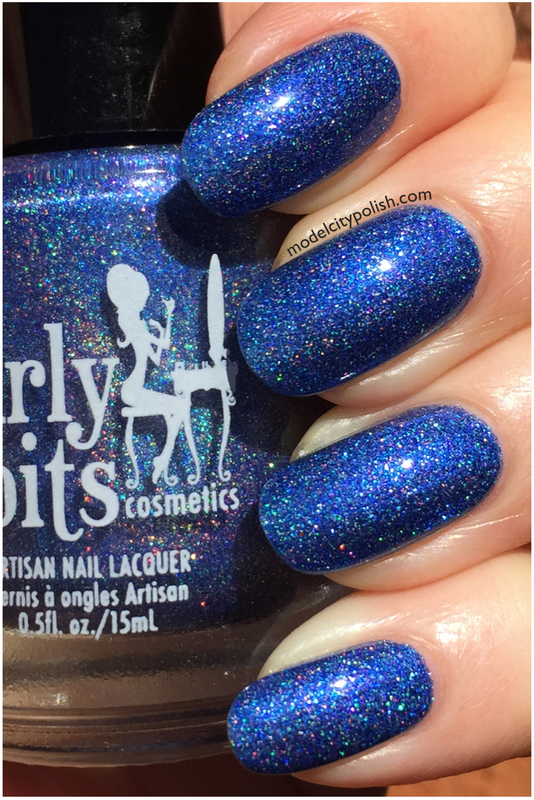 In my photos I am wearing just two coats of Winter Sanctuary and one coat of Gelous.